Rhys Lewis, the singer-songwriter from the UK, ventured to Austin, Texas to play three sets at SXSW. I had originally discovered his music on the Official SXSW 2018 Playlist from the festival's Spotify page. After hearing his coarse and soothing words from the track Bloodstains, I became enamored and listened to the rest of the EP titled, Bad Timing. 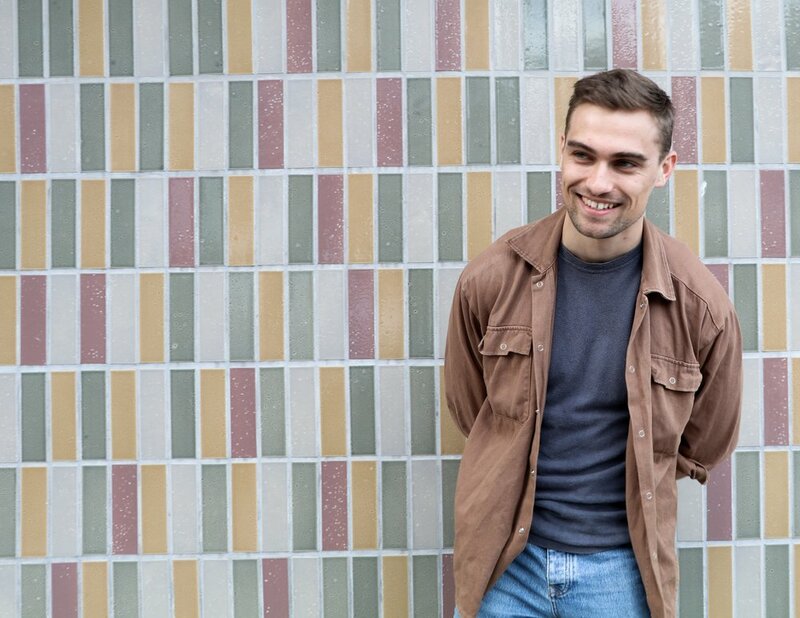 From past relationships to his love-hate affair about living the city life in London, Lewis covers many personal topics with transparency in every song. I had the privilege of seeing one his sets at The Driskill Hotel in the swanky and pristine, Victorian Ballroom. Throughout the festival I had attempted to schedule a portrait shoot with him, but timing did not seem to work in our favor. However, fate would ensue. In his words, "it was fate" to run into each other amongst the crowded streets of Austin. On the busy corner of 5th and Congress, I was able to get his attention by saying "Rhys" a few times, and he was shocked that anyone was able to recognize him. I was in the middle of a shoot with the Chicago band, Moonrise Nation, and they were also excited to meet a fellow SXSW artist. We took a few shots on the street corner and we gave him some show recommendations including Billie Eilish, where we all bonded over our love for Eilish's song Bellyache. Check out BBC Radio's live set from Austin, TX below + stream and purchase his EP, Bad Timing here.